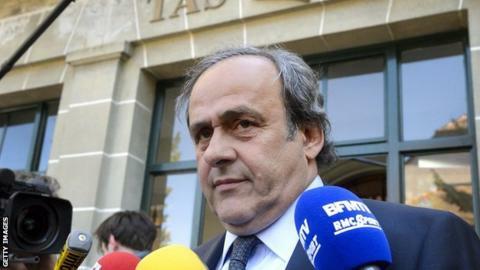 Switzerland's highest court has rejected former Uefa boss Michel Platini's bid to overturn his four-year ban from football. The Swiss Federal Court confirmed a Court of Arbitration for Sport (Cas) ruling last year that upheld his ban. The court said the Cas decision did not "appear to be manifestly excessive". Platini and former Fifa counterpart Sepp Blatter were found guilty in 2015 of ethics breaches over a 2m Swiss Franc (£1.3m) "disloyal payment". Both deny any wrongdoing and said the payment in 2011 was made for consultancy work Platini had carried out for Blatter between 1998 and 2002, and that they had a "gentleman's agreement" on when the balance was settled.